In India’s urban areas, you can tell the interruption in power supply by an accompanying noise – a diesel genset whirring into life somewhere nearby, releasing plumes of dark smoke into the air. Power failure is so endemic in some areas that factories, call centres, hotels and apartment complexes all install large gensets to provide back-up power. So much so, that the installed power generation capacity of diesel gensets in India has now exceeded 90,000 megawatts, or the equivalent of 36% of India’s total power generation capacity. This estimation by the power regulator, the Central Electricity Regulatory Commission, in fact takes into account only large units with over 100 kilo volt ampere. If smaller units in apartment complexes and household are taken into account, the figure could be much larger. Policymakers thus far believed that the installed capacity of such units was just over 1,000 MWs, while in reality it was 90 times as much. And so there is no estimation of how much fuel is consumed by these gensets. There should be. Because these gensets all consume subsidized diesel. Fuel subsidies were a little under 2% of India’s GDP in 2011-12, according to IMF calculations. Diesel subsidies accounted for nearly half of it. The rationale for subsidizing diesel is two-fold. Farmers use it to operate motor pumps to irrigate their farms. And second, cost of transporting essential goods and food needs to be kept down to rein in inflation. Both these reasons are undermined by the situation on the ground and what researchers have shown. Nearly 27% of diesel sold in India is consumed by vehicles, the economist Kirit Parikh estimated in 2013. All of these are not trucks transporting vegetables. Many are sports utility vehicles owned by the rich. Parikh estimated that an SUV owner received an annual subsidy of Rs50,000 on account of the diesel subsidy in the name of the poor. Researchers at the thinktank Integrated Research and Action for Development showed in 2012 that a 10% increase in the price of diesel would only result in a 0.6% rise in consumption expenditure of the poorest 10% of people both in the rural and urban areas. A 4% rise in wholesale price index, which can be caused by fiscal deficit-fuelled inflation, can have a much greater impact, they found. The government recently set up an expenditure reform commission to streamline spending and ensure better targeting of subsidies. India’s Gross Domestic Product increased by 5.7 per cent in the April-June quarter, up from 4.6% in the previous quarter. Growth in this quarter was the highest since March 2012, and it was sparked by a boost in the manufacturing and service sectors. However, economists said that this rebound could be temporary and stifled by poor monsoon rains and rising food inflation. During a stint in the U.S. Army, Dennis Schenk worked alongside canine rescue units in the aftermath of a hurricane. He fell in love with dogs and decided he wanted to make them his career. He eventually got certified as a dog trainer by the International Association of Canine Professionals and the International Association of Animal Behavior Consultants and in 2009 moved to China. Now he’s flown around the country by clients who pay him 500 yuan ($81) an hour to train their dogs to come and sit, and to treat them—the pets, not owners—for anxiety and aggression. Cat and dog lovers are a relatively new breed in China. Up until the 1980s, keeping pet dogs was illegal in Beijing, because pets were considered to be a bourgeois affectation. Restrictions were loosened in the 1990s and early 2000s. (A height limit on dogs is still in place.) By 2012 the city had more than 1 million registered pet dogs, now served by more than 300 pet hospitals, according to the Beijing Small Animal Veterinary Association. China has become the third-largest pet market in the world, after the U.S. and Brazil, according to Euromonitor International, and is home to 27 million dogs and 11 million cats. Maoist rhetoric hasn’t disappeared entirely. In early August the Communist Party-run People’s Daily ran an editorial decrying pet ownership as a “crude and ludicrous imitation [of a] Western lifestyle”—and argued that uncollected sidewalk poop disrupts “social peace and harmony.” In some cities, unwanted puppies are dumped on the street and become strays. The local press has reported cases of auxiliary police officers beating strays to death. via China’s Skyrocketing (Pet) Population – Businessweek. In his book Citizen Canine (PublicAffairs, 2014), science writer David Grimm links the rise of the 19th century and early 20th century movement opposing “animal cruelty” in the U.S. to the then-novel practice of keeping dogs and cats as inside pets, enabled by such recent inventions as flea and tick medicines and kitty litter. China is still a place whose newspapers report that government employees beat unregistered dogs to death on the street and bury alive stray mongrels seen as nuisances. Meanwhile, China’s rising urban middle-class is increasingly embracing pet ownership, spending 7.84 billion yuan ($1.27 billion) on pet care in 2012. Beijing alone is home to more than 1 million pet dogs. In a country where citizen groups face intense government scrutiny and often harassment, a recent series of volunteer (or even ad hoc) animal-rights campaigns has made headlines—and scored some surprising victories. Partially in response to citizen-led anti-animal cruelty campaigns, on June 30 China’s Food and Drug Administration ended requirements for mandatory animal testing of domestic cosmetics. via Don’t Kidnap My Dog: An Animal Rights Movement Starts in China – Businessweek. 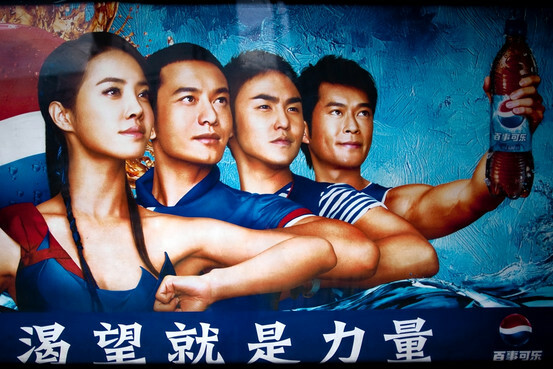 Celebrities who endorse ads for products they don’t try may need to start being a guinea pig in China. On Monday, an updated draft of the Central Party’s advertisement law submitted to lawmakers said that celebrities who are paid to be spokespeople for products, should try the product before they represent it, according to state media. The goods and services celebrities endorse need to be “based on facts,” the draft says. The revision comes on the heels of last year’s revised Law on Protection of the Rights and Interests of Consumers, which states that celebrities who appear in misleading commercials, and the media that broadcast the ads, are legally liable. Monday’s updated law reinforces celebs’ legal liability and says their “illegal income” can be confiscated if they stump for false advertising. They could also face hefty fines. But it isn’t exactly clear how the law will be enforced or whether the government can actually monitor whether celebrities actually try out the products they promote. via China Says Celebs Have to Actually Try the Products They Endorse – China Real Time Report – WSJ.